This is the classic Mojito recipe given a fruity makeover. 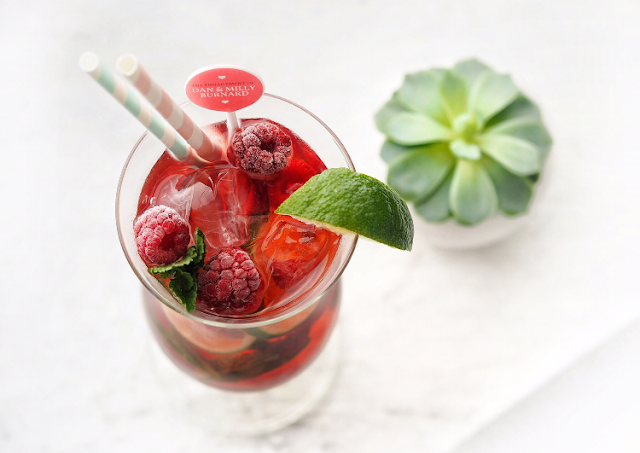 Fill a glass with ice and add the lime slices, raspberries and mint sprigs. 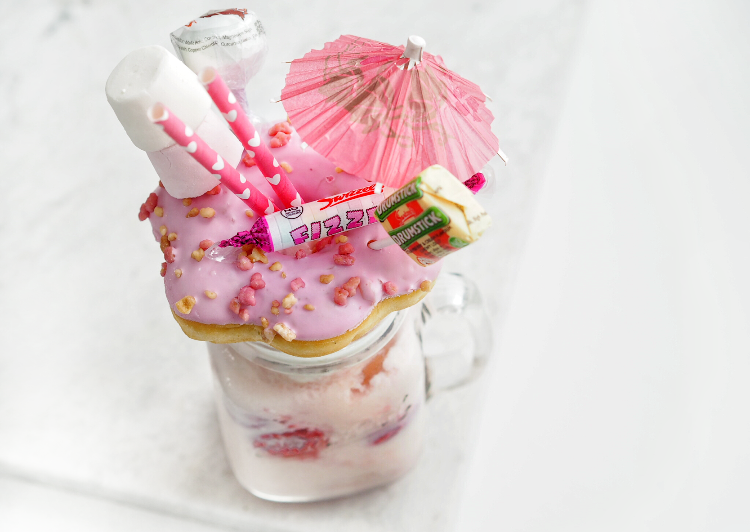 Throw the Raspberry Shnapps, White Rum, mint and more ice into a shaker and SHAKE IT LIKE A POLAROID PICTURE! 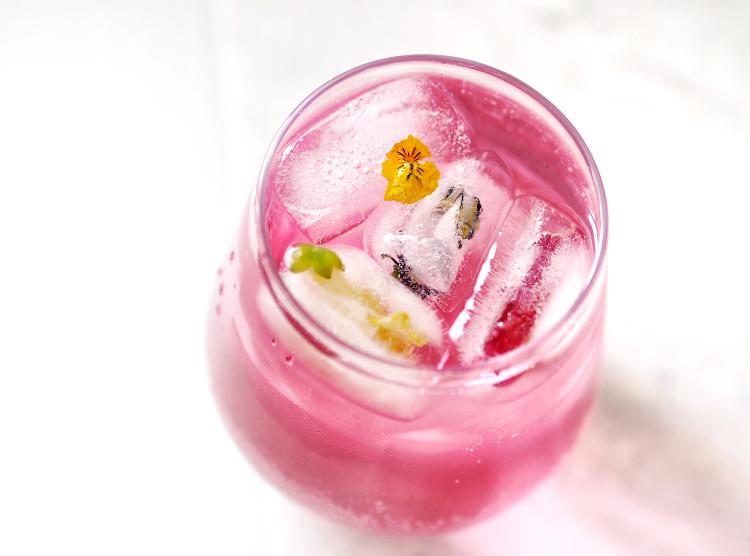 Strain the contents into your glass before squeezing in lime juice and topping that baby up with soda water. Some traditional Mojito recipes call for Gomme - A sugar syrup, but Corky's Raspberry Schnapps adds just the right hit of sweetness to compliment the sharp lime and mint tang. I also popped one of the cocktail mixer sticks we had made for our engagement party in for a personal touch, Aww! These cocktails look so yummy! I'm currently on a detox but I think I'm definitely going to have to give these a go on a special occasion. Flowerbomb sounds right up my street - I love raspberries and this looks super refreshing. These look incredible Milly, I adore the photos! I can't decide which one I like the look of more because they all sound super yummy. I'll probably pick the Raspberry Ripple as I mean hellooo... It has a frickin' doughnut on top haha! Thank you! So proud of these photos :) I can't decide which is my favourite cocktail!